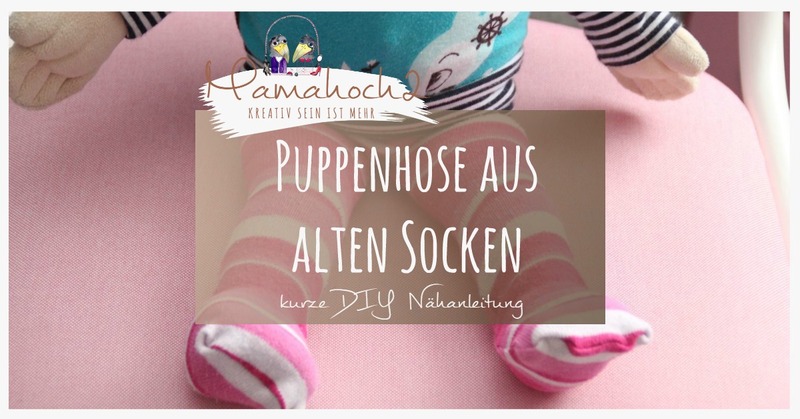 Vor einigen Wochen sind wir auf Judith und ihren Blog gestoßen, da sie eines unserer Schnittmuster und Nähanleitungen ausprobiert hat und das Ergebnis auf Ihrem DIY Blog Judokus veröffentlichte. Judith ist schon mit jungen Jahren um die Welt gereist, meist in englischsprachigen Ländern und bloggt selbst auch hin und wieder in Englisch. Für uns hat sie unsere Autumn Rockers Nähanleitung in Englisch aufgearbeitet, damit auch wir den Kreis unserer Leser, vor allem in Englisch, erweitern können. 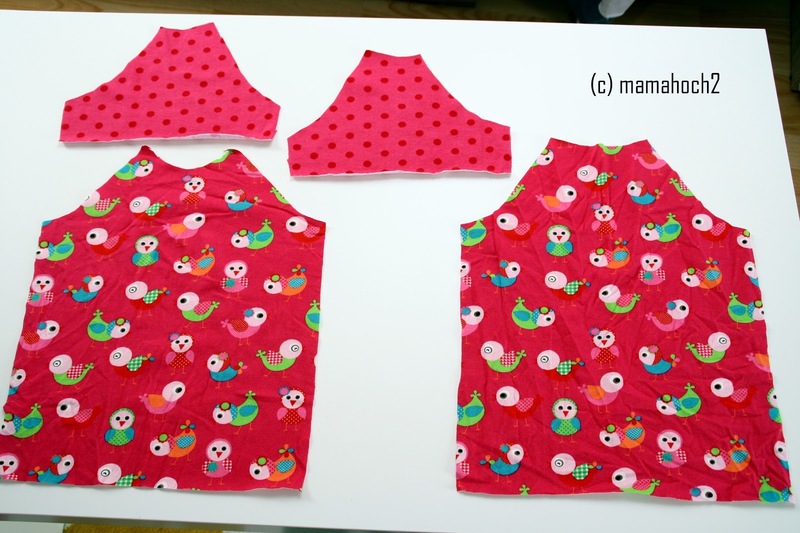 This ist a super cute sewing pattern for a baby raglan shirt. So here I present you the instruction they gave us in german, for you in english. If you would like to pay with PayPal, please pay more than 1.50 € otherwise the charge of 0,35 Cent for PayPal and the taxes would be higher than what the 2 girls would earn. 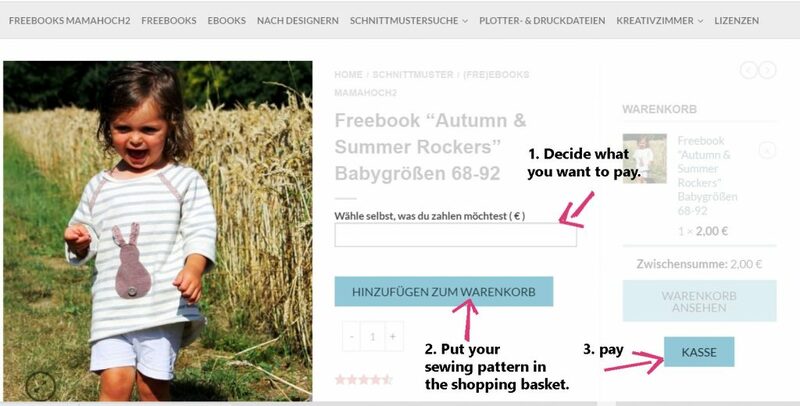 After you clicked on „Kasse“ enter your adress details and click on „Weiter zu Schritt 2“ (step 2). Choose how you would like to pay (giropay or PayPal) and click on „Weiter zu Schritt 3“. Check the first and second check box (General Terms and Conditions and Instructions to law). 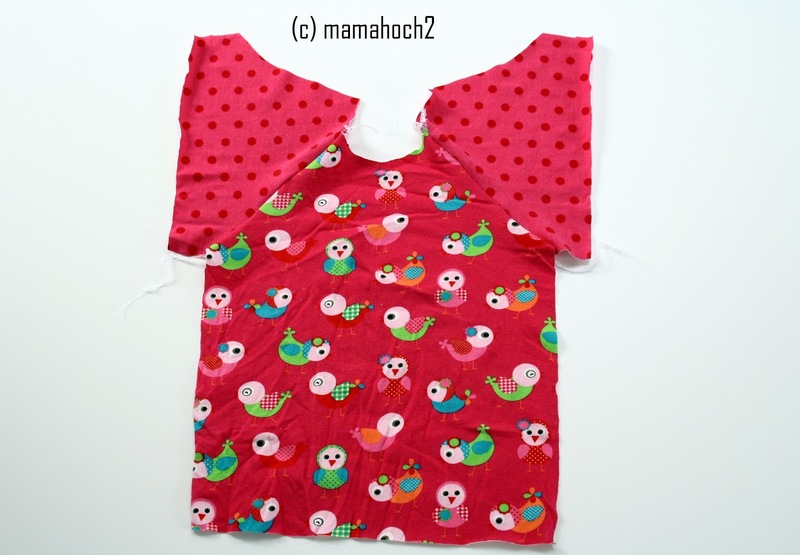 Enough of the theory, lets start sewing the toddler shirt! 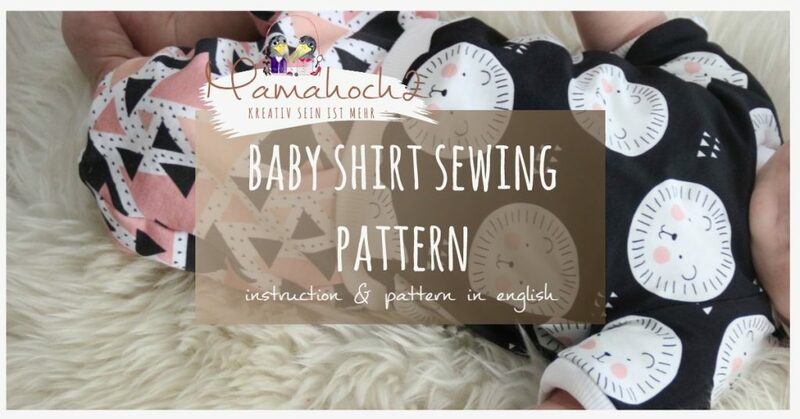 The baby raglan shirt is an absolute basic pattern. 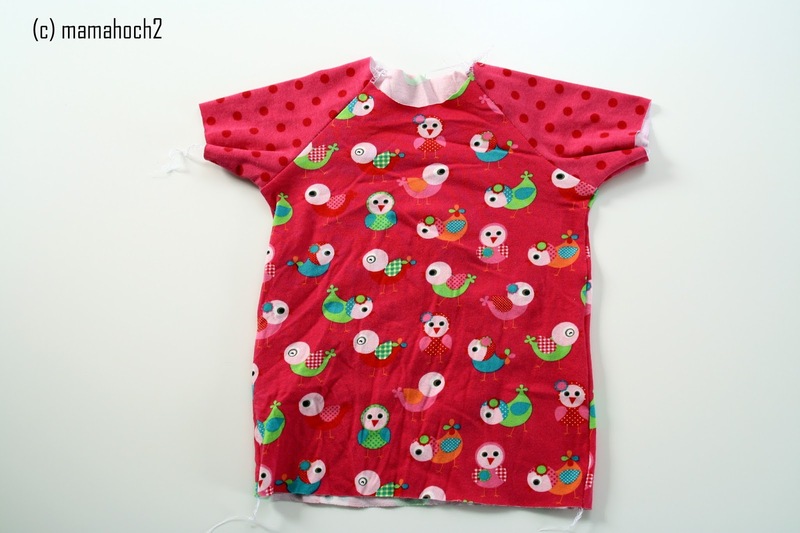 It allows you to sew just a simple shirt. However, you can add a few highlights here and there to make it quite an extraordinary one. 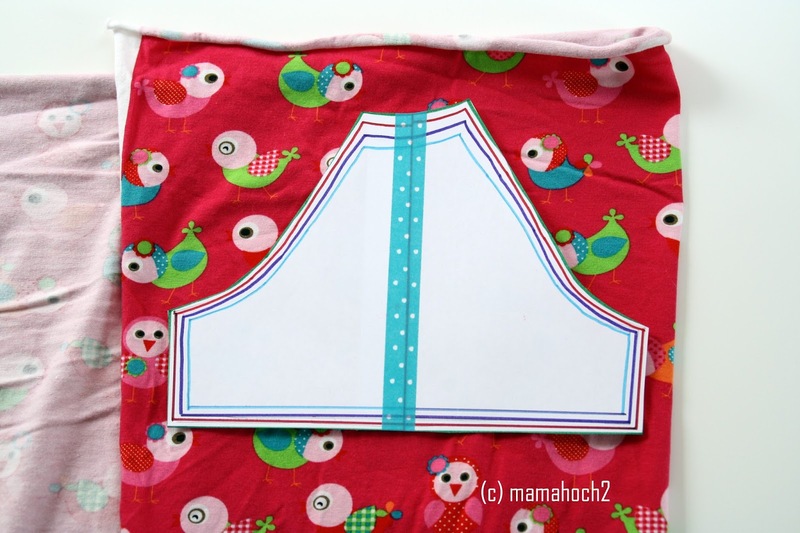 Print the pattern and stick it together according to the labels. Cut your desired size (from 68 up to 92). 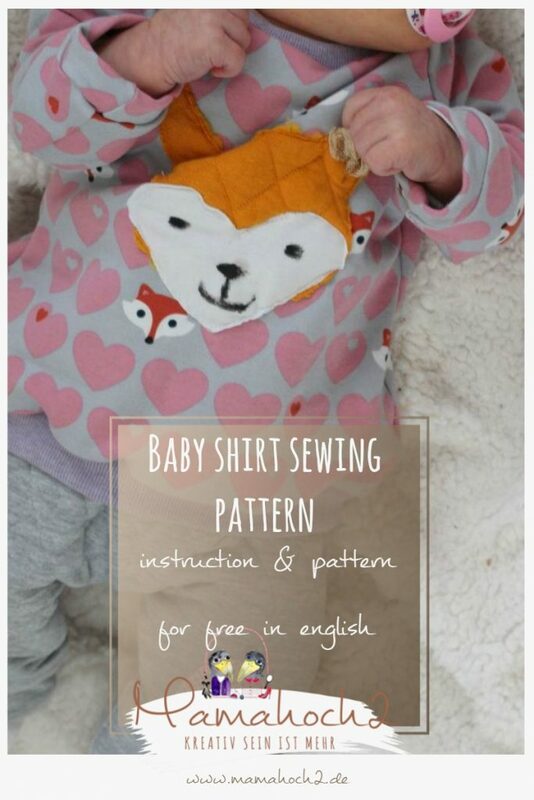 This pattern is without seam allowance. The dotted line is for the cuffs, the long one for seaming. 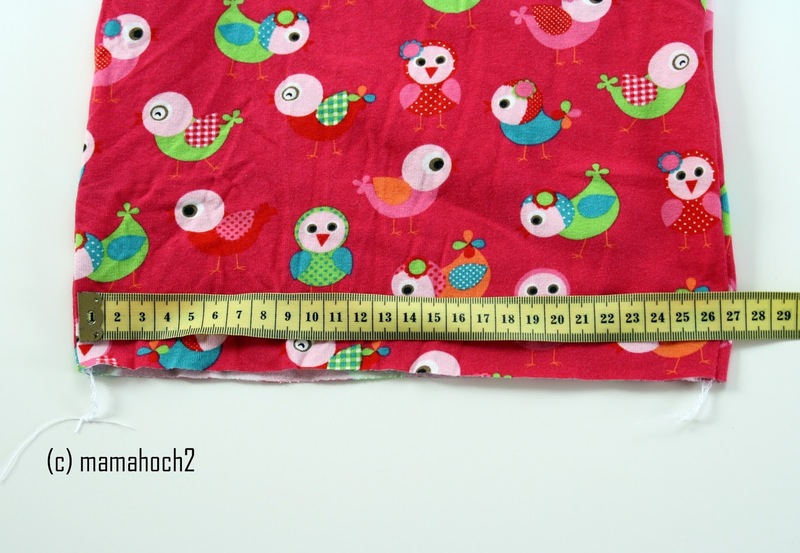 Cut the fabric with a seam allowance of approximately 0.75 cm – 1 cm. 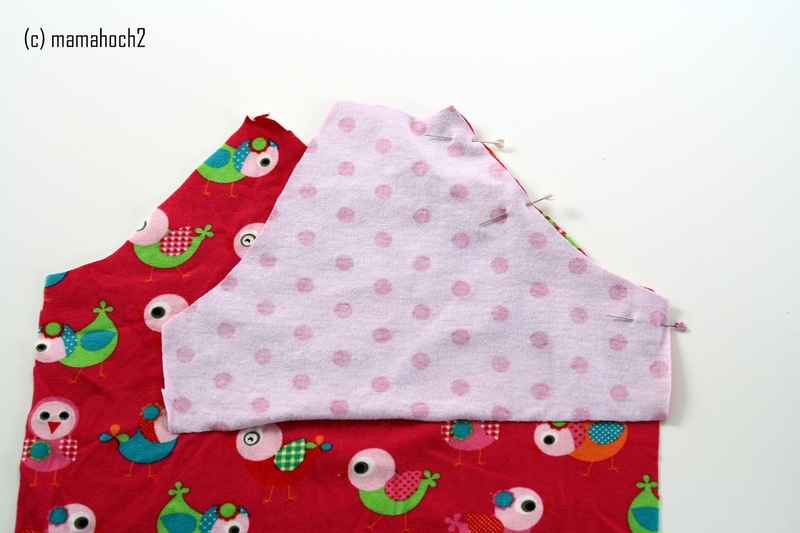 Don’t add seam allowance at the neckline and at the hem. 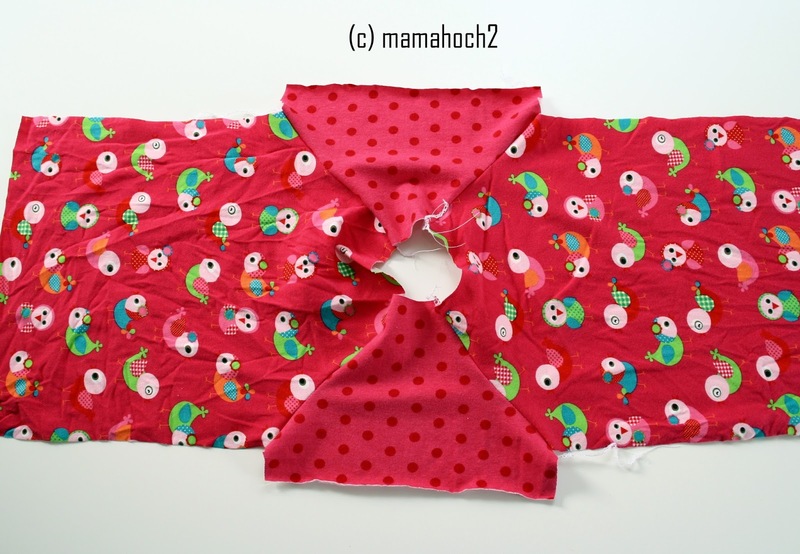 Cut the sleeves twice mirrored: Just lay your fabric doubled and cut the sleeves twice (as seen in the image below). 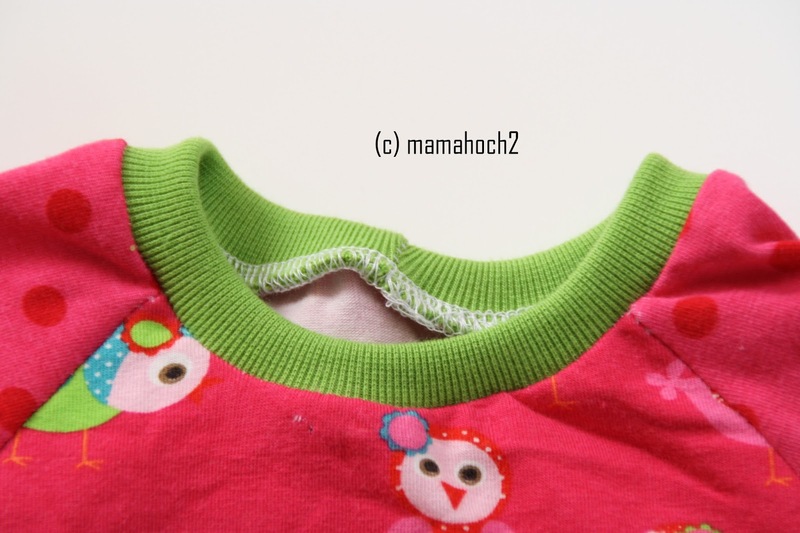 Don’t add seam allowance on the neckline and the hem here as well. Take the front piece and a sleeve piece. Put the the sleeve right on right on the front piece. 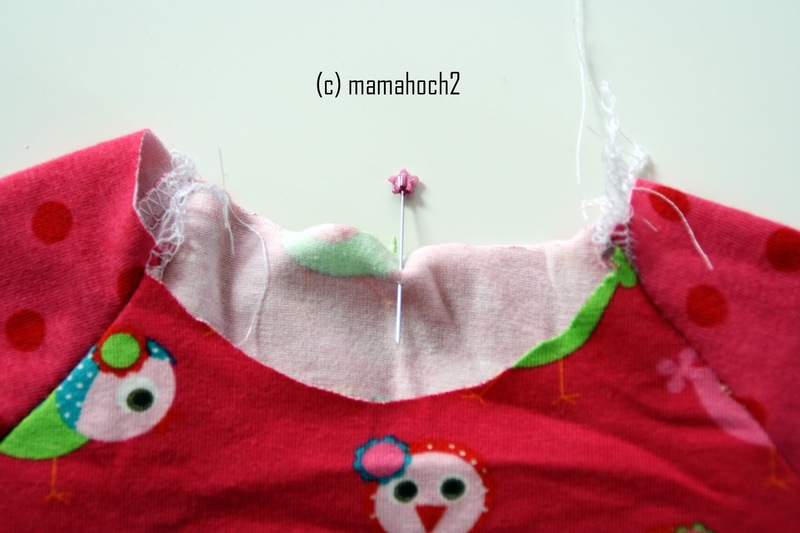 Be aware that you sew the front edge of the sleeve on the front piece. 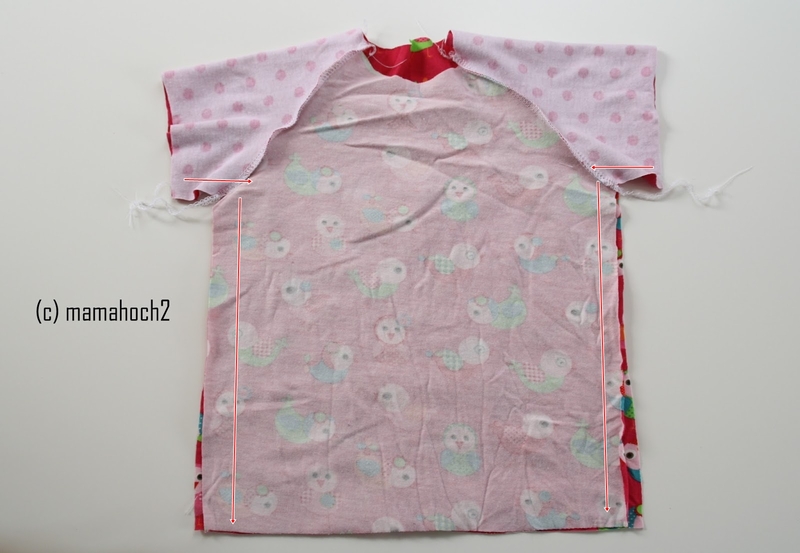 Now fold the shirt right on right and sew the shirt along the arrows as shown in the picture: Lass uns deine Meinung da! 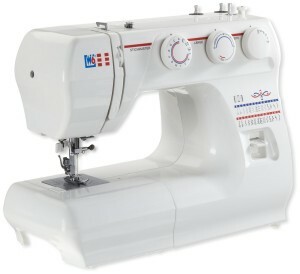 Wenn du nach unten scrollst, hast du die Möglichkeit dein Feedback abzugeben. 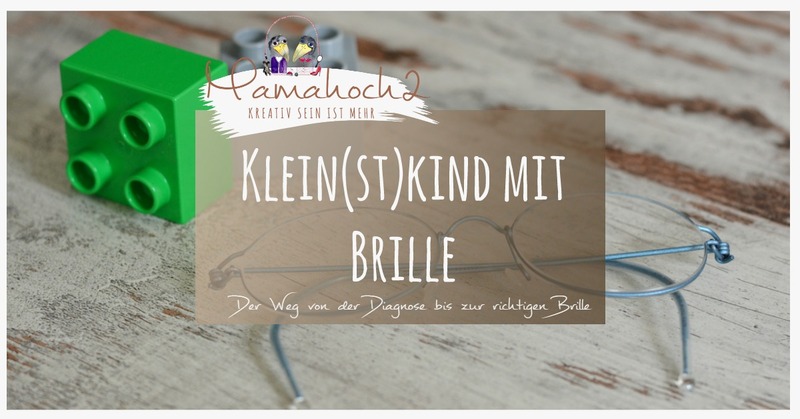 Dieser Blog lebt von Interaktion. Sei ein Teil davon! P.S. Wenn dir dieser Artikel sehr gut gefallen hat, dann teile ihn doch direkt mit deinen Freunden. 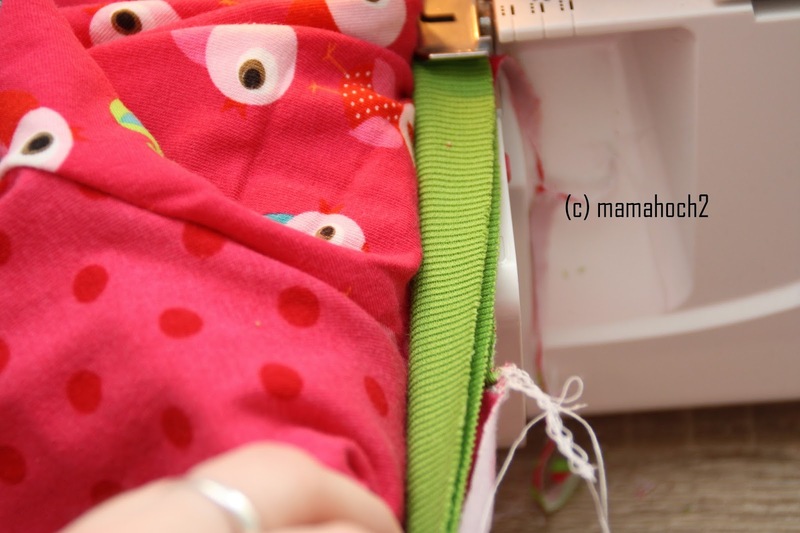 Use a straight stich for seam. 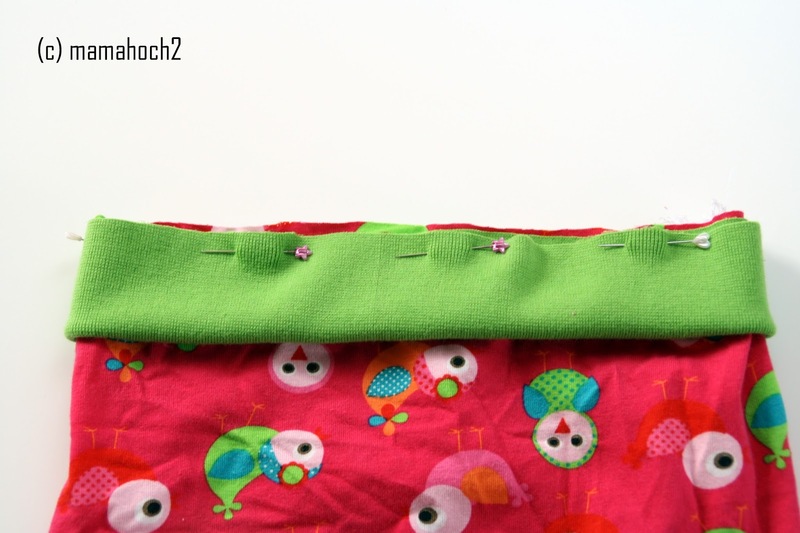 I would recommend to use an extra zig-zag stitch for the seam to make it more robust. 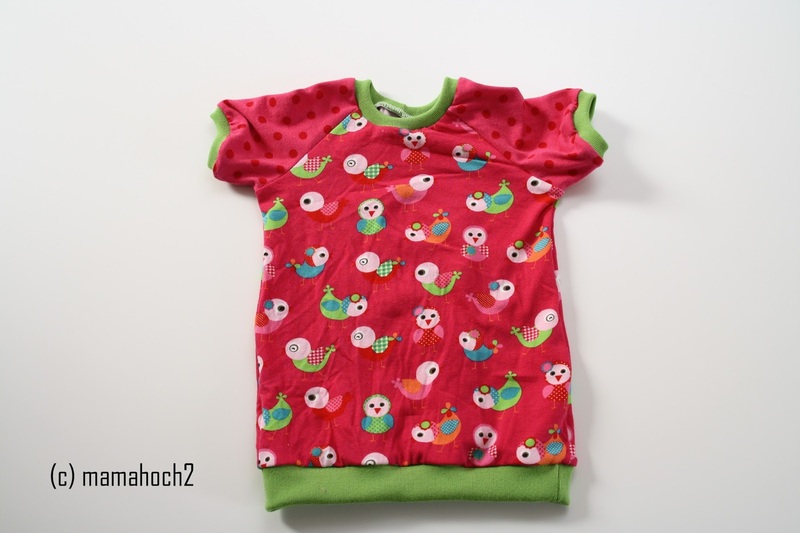 When you turn the baby shirt, you’ll see an almost perfect T-Shirt already. 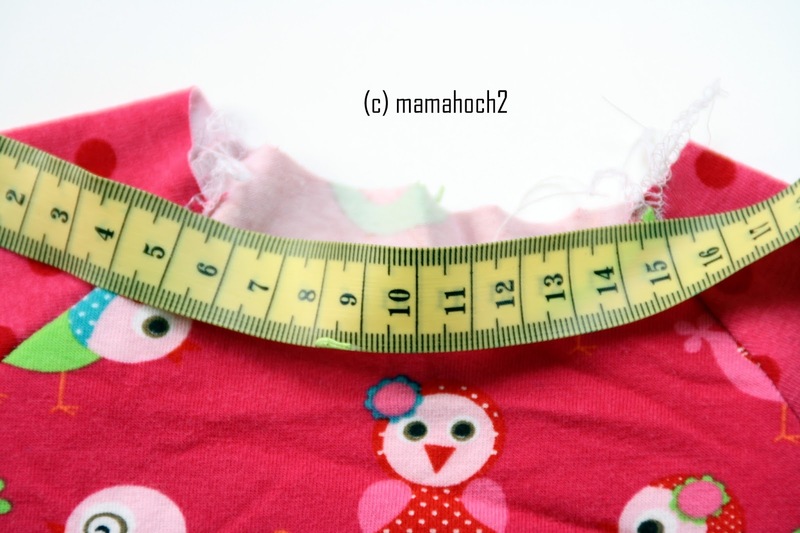 As there are different elastic cuff fabrics and the fact that the seam allowance varies from shirt to shirt, there is no measurements indicated. 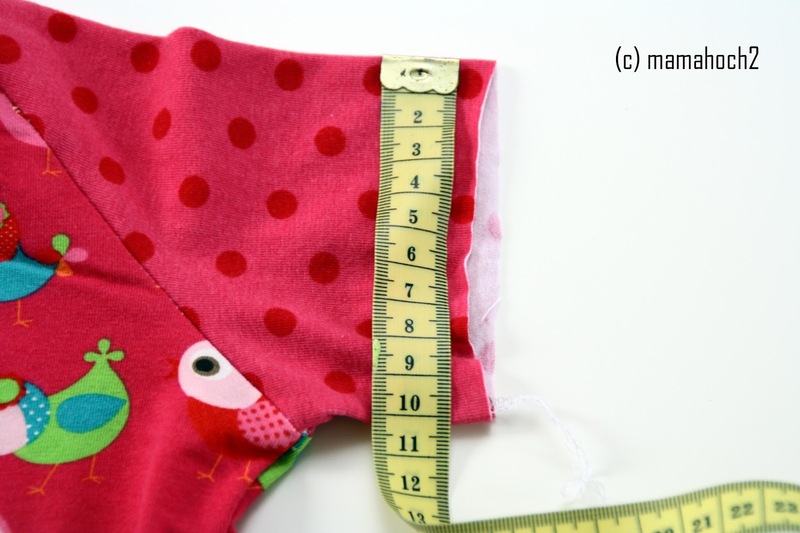 The girls from mamahoch2.de simply calculated the cuff length based on their sewing experience. 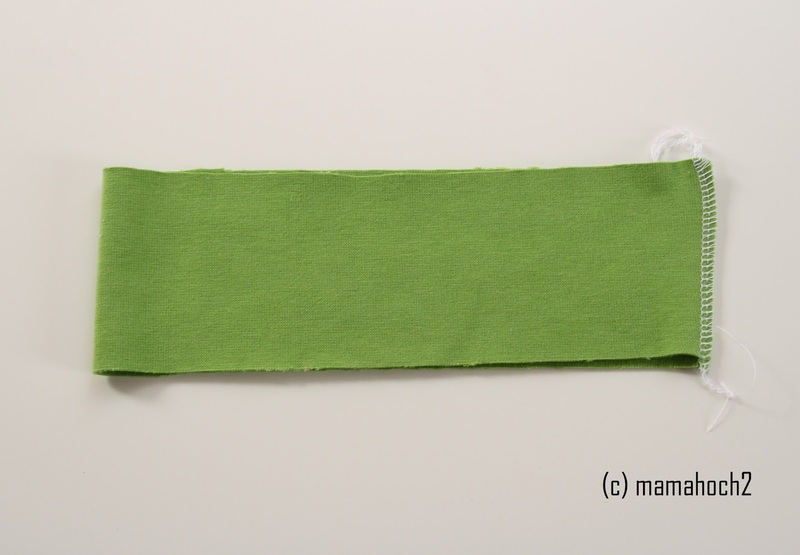 Now sew the cuff under slight tension. Determine the size of the neck opening and multiply this number by 0.7. For example, 33 cm circumference x 0.7 = 23 cm. So, the cuff is 23 cm long and 4 cm high. Caution: Babies don’t like it so much to get something pulled over there head. 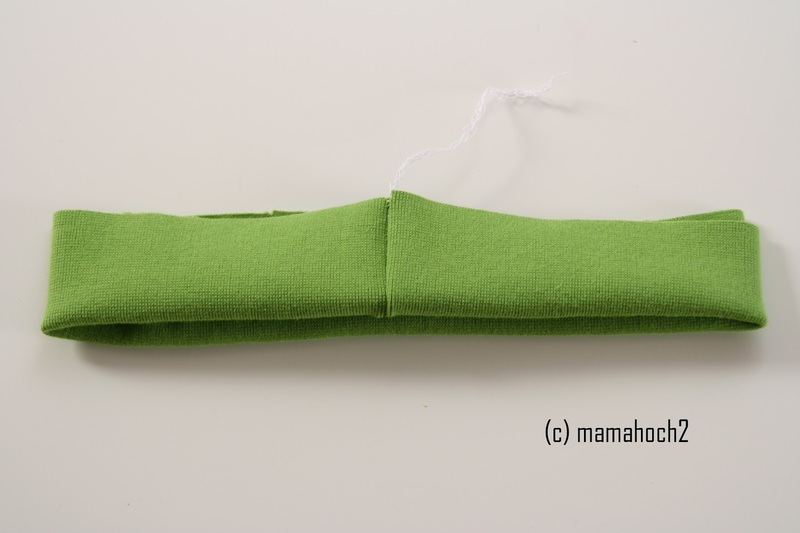 So do not make the cuff higher than 4 cm and choose a very stretchy cuff. 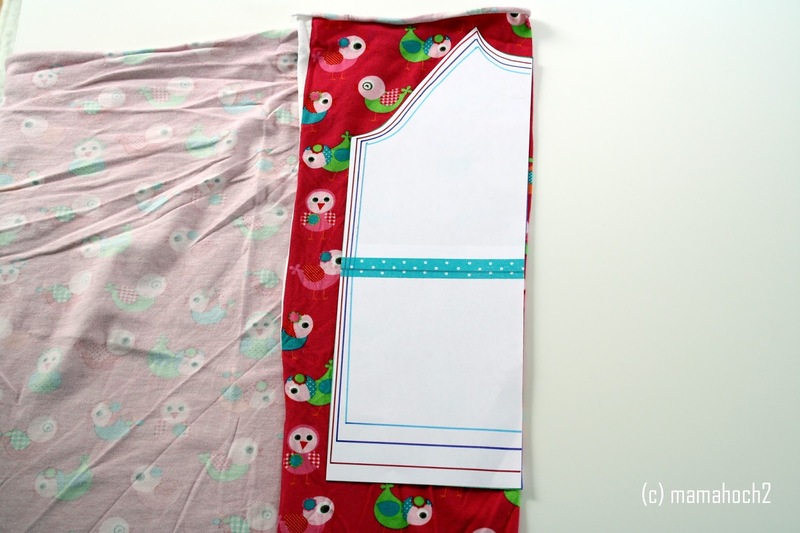 Now pin the cuff on the neckline, like you did for the hem. 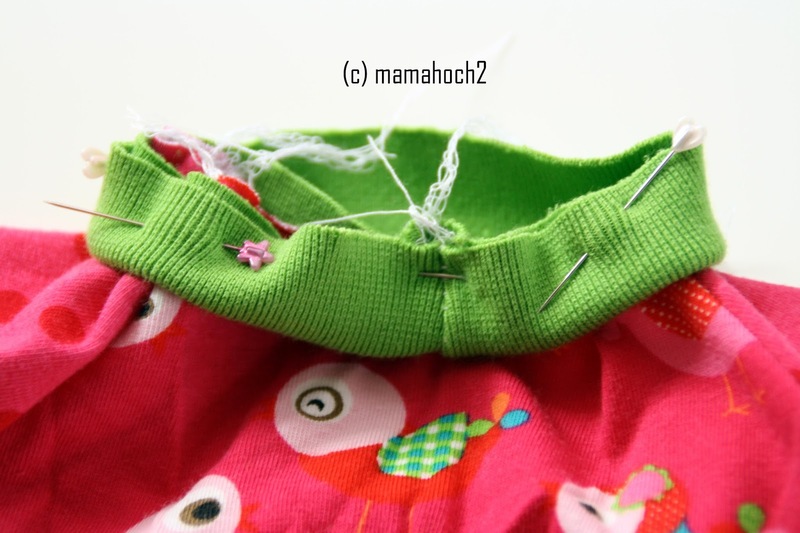 The seam of the cuff should be pinned at the back center. Always remember to stretch the cuff only, not the Jersey when you sew it. 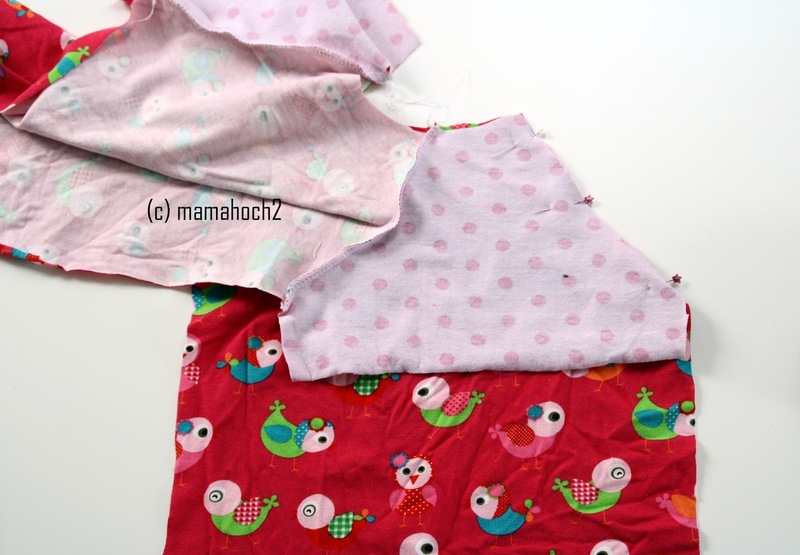 Calculated the two cuffs for the sleeves with the same formula you used for the neckline cuff. Choose the height with 4 cm as well. 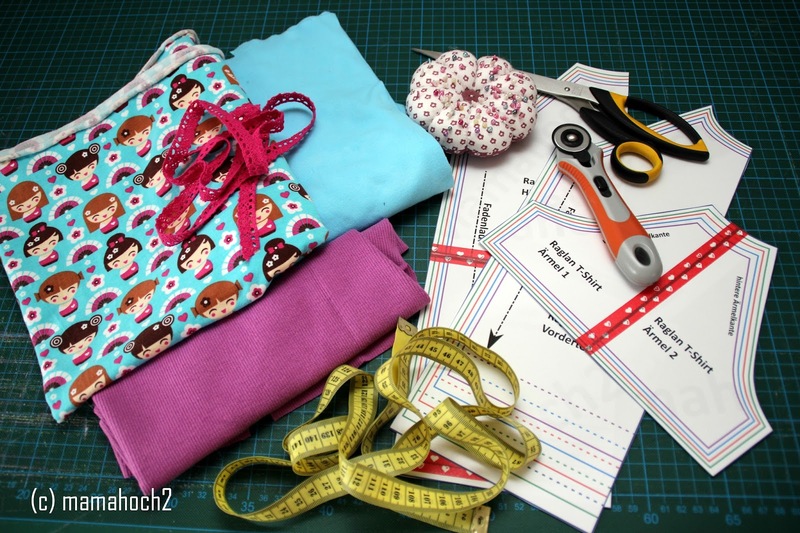 Sew the last to cuffs on the sleeves. A side note: English is not my first language. I tried to translate the instructions as best as I could. So if there are any ques-tions or suggestions regarding my instructions, please leave your comments. I’ll modify instructions accordingly.